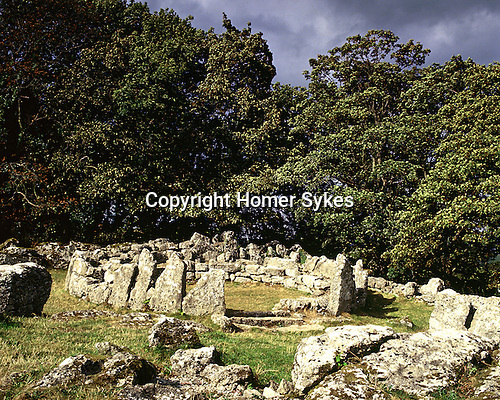 Din Lligwy Hut Circle, Nr Moelfre, Anglesey, Wales, UK. Celtic Britain published by Orion. Romano British homestead occupied during 4th centuary.